Steve Smyth (Forbidden, Nevermore, Dragonlord, Testament, Vicious Rumors) is no newcomer in the metal music or shred guitar world, first being tipped for the top in Shrapnel Records president Mike Varney‘s “Hometown Heroes” column in the October 1993 issue of Guitar World magazine. A four year tenure as lead/rhythm guitarist with Bay Area power metallers Vicious Rumors started in 1995. 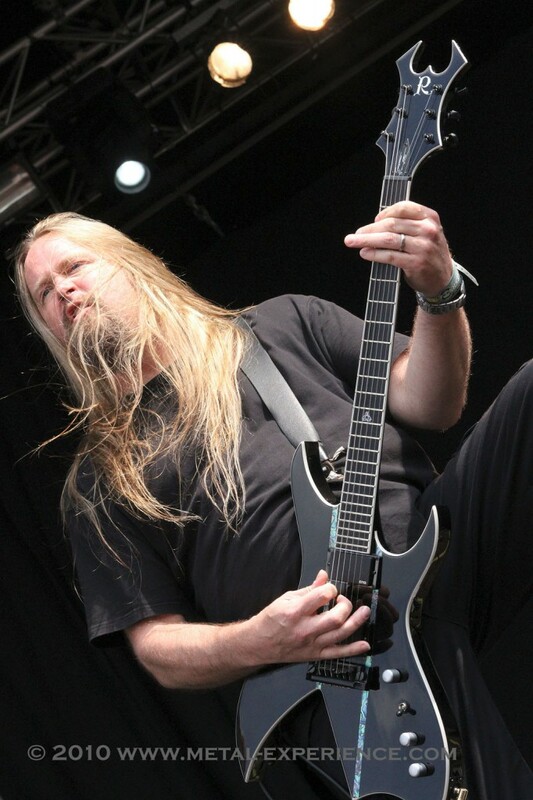 During this time, Smyth contributed to two well received albums; 1996’s Something Burning, and 1998’s Cyberchrist (both released by Massacre Records), and toured extensively in the USA and Europe in support of both albums. 2011 also sees Smyth co-writing the followup album for The EssenEss Project, as well as the debut of new band One Machine, who are presently at work writing a debut album due for release February 18th, 2014. Touring in support of both band’s releases is in the planning stages. Fave TV Show: Boardwalk Empire. Instruments: Electric and Acoustic Guitar and Bass, Voice, Drum and Key Programming. D.O.B. : November 28th Year Of The Dog. Favorite sports team: Oakland Raiders.